What better way to cool off in the summer, than with a big bowl of ice cream. As a self-confessed chocaholic, I often reach for a bowl of frozen chocolate goodness. But what if you could make it at home for half the cost of a big tub of Hagaz Daz? It is easier than you might think, and super fun especially for kids! You will need an ice cream maker. I have a Hamilton Beach Ice Cream Maker, I believe it was only around 20-30 bucks @ Target. It is an investment that you can enjoy year after year. In honor of Chocolate Ice Cream Day I’d like to share some of f my favorite Chocolate Ice Cream recipes with you. 1. Double Chocolate Ice Cream Sandwich Double the chocolate, double the yum! 2. 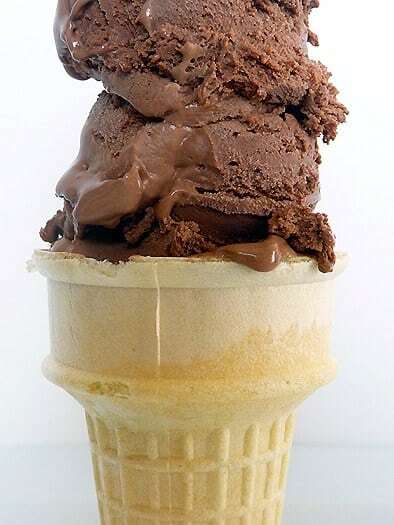 Classic Chocolate Ice Cream No one can resist a bowl or cone of this classic. 3. Chocolate Peanut Butter Ice Cream This perfect combination is one of my all time favorite flavors. 4. 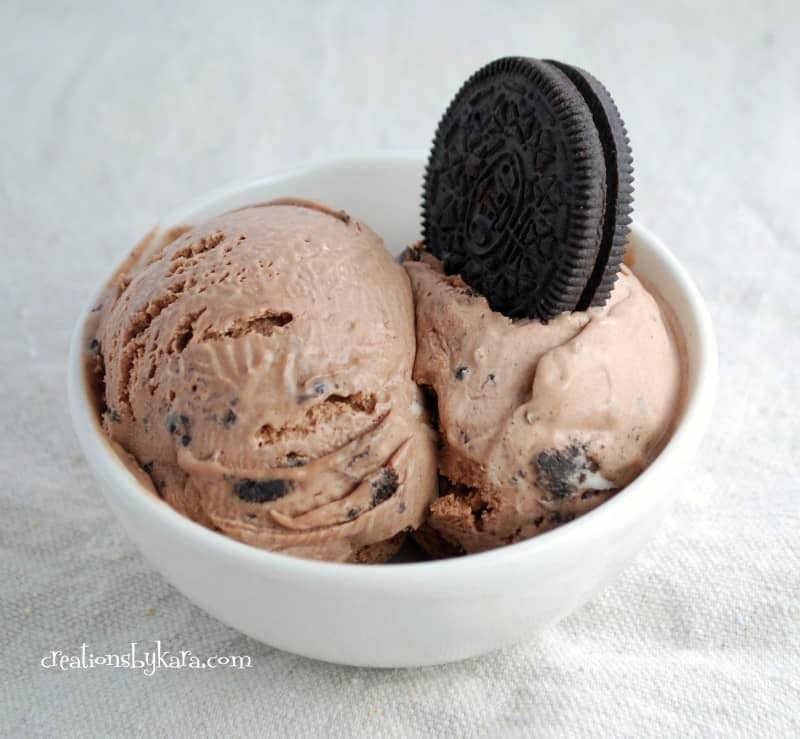 Chocolate Oreo Ice Cream Crunchy Oreos, plus creamy ice cream is a delicious combination. Ice Cream Pie Ice cream doesn’t have to be just a scoop in a bowl, use your imagination, the possibilities are endless! What is your favorite ice cream flavor? Please let me know in a comment, I’d love to hear from you! You are so welcome! That was quick, I was going to tweet you, but you beat me to it!! OMG, these all look amazing! Wow! These all look super. Thanks for the recipes! I can’t wait to make the Chocolate Peanut Butter Ice Cream.